Duolingo, a free language learning platform, was built upon a project started at the end of 2009 by CMU professor Luis von Ahn (creator of reCAPTCHA) and his graduate student…the idea is to create a program that served two purposes, a “twofer” as Luis von Ahn said, teaching its users a foreign language while having them translate simple phrases in documents . 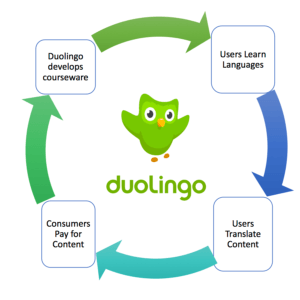 Most of us have heard of the free platform of language-learning but few really know how Duolingo monetizes the content generated by language-learners. Free and Convenient – Duolingo offers high-quality language courseware for free, which is a nice alternative to traditional language-learning spending hundred-dollars and sitting in a classroom. The software is available in both desktop and mobile version across multiple operating platforms. As Duolingo expands, millions of users now can conveniently access and learn more than thirty languages on its platform, anytime and anywhere. Gamification and Network Effect – Its gamification features certainly make learning more interactive and fun. Vocabularies are categorized into different themes such as Food and Travel which offers utilitarian value. User learn in variety of content formats including pictures, sentence translation and speaking exercises. Once you hit your learning goal with limited tries, you will be awarded new badges and gain experience points. There is also a network effect as users are also encouraged to share progress with friends and learning community. 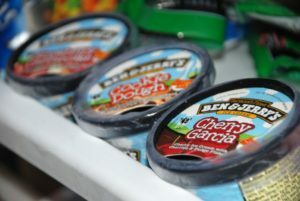 The real dilemma is how would companies make money if the content is free? Well, someone has put it nicely – if you are not paying for the product, then you are the product! Translation Service – Duolingo turns users into “workforce” and every translation practice done by user produces a piece of a translation product that Duolingo could monetize. Specifically, Duolingo would have multiple users translate the same sentence; software compares those results to settle on a final translation. After many sentences are put through this process, they are combined to create a translation of an entire document. The results, says von Ahn, are better than an automated translation but typically just short of professional quality. Duolingo has announced partnerships with BuzzFeed and CNN to have their content translated by Duolingo’s community of language learners. The service is much cheaper than current professional translation and provides an interesting option for social contents that are easier translate and requires less accuracy. I would say, for the most part, learning is the primary motive. There isn’t any monetary reward or social recognition for users performing translation tasks. The only incentives for users to participate in translation is the opportunity to learn new languages for free while Duolingo keeps innovating on gamification features and better product experience. User Participation – I wonder if the current scheme is enough to keep users engaged and deliver high-quality translations. As more users get familiar with Duolingo’s business model, more would demand to see an explicit link between the reward and their contribution in translation. How could Duolingo make the process from selecting and blending translation works from different users to attributing contribution and rewards properly, so as to create a virtuous cycle? 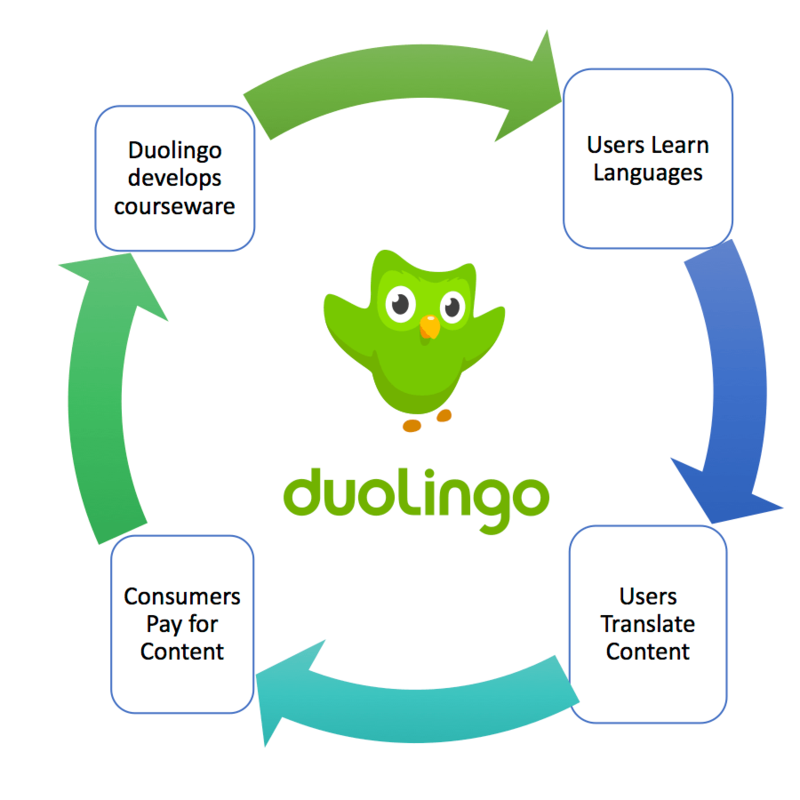 Quality and Timeliness – If Duolingo continues to expand and establish partnership with news and social media companies, speed to delivery and quality of translated content would be a key to success. How should Duolingo leverage technology to improve accuracy of translation and properly match supply and demand in a timely manner? In July 2017, the company raised a $25 million Series E round. 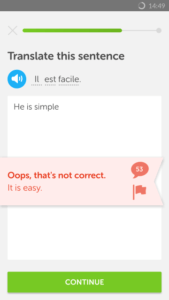 As the founder once said, Duolingo decided its purpose was teaching, not translation. I remain curious about the next move Duolingo takes – growing its business while making language learning accessible for everyone. Great post KZ! I agree with you that one of the biggest challenges they will face as they acquire demanding clients is translation quality. It seems that the users that get the most value out of the product are those with limited mastery of the language. Those users that learn the language leave the platform or switch to more sophisticated learning methods such as hiring a tutor. To improve translation quality they would either need to retain advanced users, increase the number of translation attempts per word (play the numbers game) or invest in the software to improve its accuracy. Love this post! I’m a huge fan of Duo Lingo. I feel that the post is a little harsh on them, though. I think they are doing a pretty great job! Currently the free version has ads that are annoying enough that I’m considering paying. I also paid $4 to keep my streak alive (just part of the game of it) because of 1) the gamification and 2) the wording that had around “supporting their mission”. I really hope they stick with the mission as it’s a huge part of why I stick with them and don’t seek out another similar language learning app. I personally think they could go farther with the gamification and give longer term rewards for keeping up with languages even if you’ve become fluent. For instance, right now you win “gems” when you keep a weeklong streak, but what about a month? Or what if I’ve just stuck with the app for a long period of time but not necessarily a streak? I think building on power of a long term commitment/investment with the app could be really smart and drive more monetary value (in ads or in direct payment) from users. Great to see another von Ahn post! I’d be really interested to hear your thoughts on why this ‘twofer’ business model has not been created more often. P.S. I originally came across von Ahn and his work in the book Big Data (https://www.amazon.com/Big-Data-Revolution-Transform-Think/dp/054422775). If you haven’t read it, I would highly recommend it.